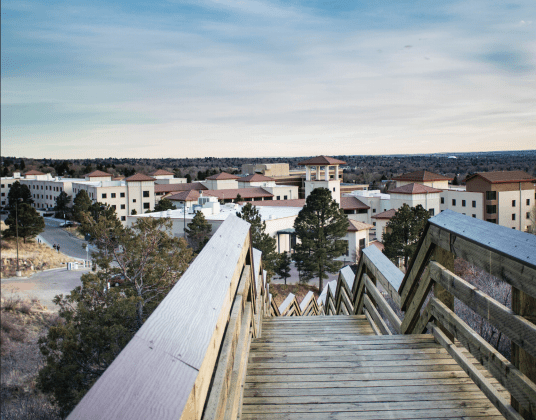 The Sherpa Trail, a trail that links main campus to the Alpine Valley Student Housing, has been renamed the Tava Trail and reopened on Jan. 17. The trail has been closed since Aug. 2015 due to record summer rainfall and flooding. The trail was closed due to safety concerns. To prevent future weather damage, the Campus Recreation Center, Facility Services, the Recreational Trail Alliance Committee and Green Action Fund collaborated to install a series of new construction to ensure the sustainability of the trail. Construction on the trail started in Nov. 2016. The project, which cost approximately $180,000 between materials, engineering and construction, was also overseen by Julie Galusky, project coordinator for the Green Action Fund. GAF awarded a $50,000 grant toward the trail’s repair. Galusky stated that one of the problems for the trail’s initial decay was that it was created in the face of natural elements. “When we looked at the sustainable elements of the trail, we determined what could be recycled in the design,” Galusky said. Galusky added that increased foot traffic during construction of residency buildings also led to issues on the trail. The trail has been redesigned with these elements taken into account. This will help solve the problem, according to Galusky. 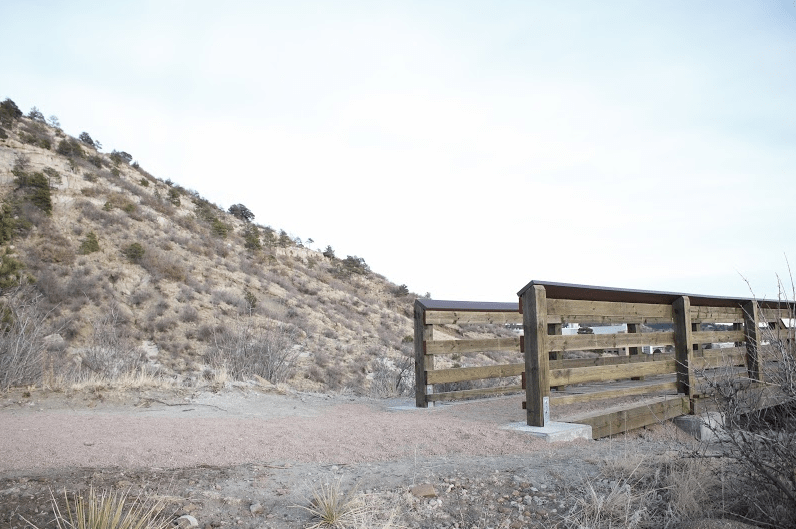 “We were very engaged in learning the answers for what were the sustainable elements of the project, such as the raised decking, which took the traffic off of the most vulnerable elements of the trail,” Galusky said. According to Skyler Rorabaugh, director of Campus Recreation, drainage was the biggest issue that the project had to address, but diverting the flow of water solved many potential problems. “Essentially we were able to put in a variety of different drainages, some water diversion bars and a decking system to allow all the water underneath to be directed intentionally into a drainage area, so it could run to the lowest spot possible,” Rorabaugh said. Rorabaugh explained that safety concerns were one of the main reasons for the trail shutdown. “We had a lot of the surface of elevation changes get washed out. It created an unsafe, unstable surface on the south end of the trail, so we shut it down,” said Rorabaugh. Rorabaugh said that in order to improve and resurface the trail, a team of experts were consulted to evaluate and redesign the trail. “We wanted to bring in experts, because we had done some Band-Aids in the past, and we wanted to make sure we put in a robust, sustainable fix on the trail,” he said. The construction project was extensive, according to Rorabaugh. “I think it’s going to be a much more sustainable design,” Rorabaugh said. Galusky stated the decking on the trail was incredibly important to her and was one Green Action Fund’s biggest contributions.